Since we started the Girls’ Teen Project in 2015, men and boys have been asking us to write a similar book for them. Boys have expressed anxiety about adolescence and confirmed their lack of knowledge about every aspect of hygiene and wellbeing. 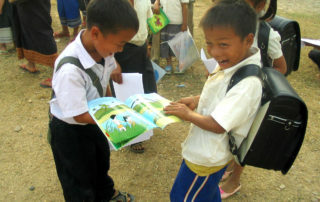 Working with Luang Prabang Library and Lao partners, we will be researching, writing, and illustrating a book for teenage boys about the physical and emotional changes at puberty, with a separate section on hygiene and nutrition. 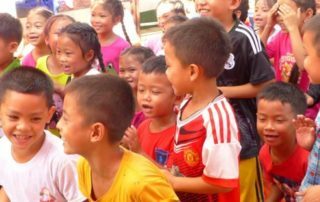 The book will form the basis for a training program for educators, enabling them to teach the subject in secondary schools and rural communities. 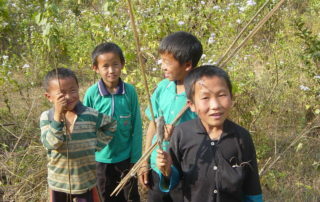 In rural areas many boys are either farming or working as labourers by the age of 14, and married with children by 18. 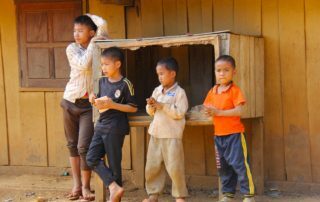 By educating boys about their own puberty and that of girls, we are improving hygiene practices, and discouraging teen births, with the socioeconomic effect that brings to rural Laos communities. Train educators to spread knowledge about boys’ puberty. Bring puberty knowledge to boys and men in communities where lack of knowledge, teen pregnancy and poverty are prevalent.